Regular pressurized balls go flat quickly in a ball machine. They get hit frequently and are squeezed 1″ each time they pass the throwing wheels. When they go flat they land inconsistently and can also jam the machine. 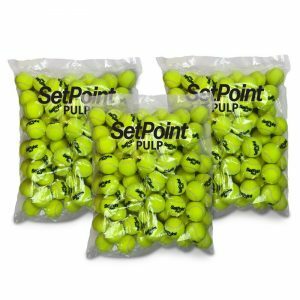 SetPoint Pulp Premium Pressureless Tennis Balls (formerly branded Spinfire Juice) were designed with the Spinfire Pro 2 in mind so they do not have these negative qualities. They are much more economical over the long run as they last a long time. 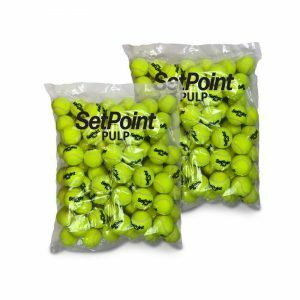 We do not recommend budget-priced pressureless balls as they are of poor quality and do not last. 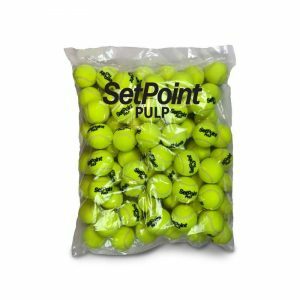 You have chosen a premium tennis ball machine and it deserves a premium quality pressureless ball.